I second John’s question and raise him a question. What am I missing about Islam that has so many people acting like Muslims are like United Methodists? I don’t mean to imply that all Muslims are terrorists any more than all Methodists follow John Wesley. But for Never Trumpers to argue about Islamophobia as if fears of Muslims are irrational — precisely forty years into various forms of Islamic terrorism, and while ISIS has been a major source of news coverage — is well nigh extraordinary. Did anyone remember, for instance, when Graeme Wood wrote a piece not in the American Spectator but in Atlantic Monthly about ISIS’ Islamic convictions? Predominantly Muslim societies suffer from low levels of political, economic, and civil liberties. Authoritarian political regimes, rigid social structures, and radical religious movements that suppress human liberty in the name of God loom large in the Muslim world. Is this liberty deficit due to a “dark age” of Islam, which can be overcome with reform and a different religious interpretation? Can Islam make its peace with liberal democracy, as Christianity and other religions did after their own illiberal ages? Or is there something different about Islam, making it inherently incompatible with a secular government and a free society? Mustafa Akyol, a longtime defender of “Islamic liberalism,” is optimistic. Shadi Hamid is more pessimistic, arguing that Islam is “exceptional,” in the sense of being essentially resistant to liberalism. Maybe you want to claim that it’s all a matter of interpretation — some truth there — but that still leaves you having to distinguish better from worse versions of Islam according western liberal standards, which in and of itself means Islam is not United Methodism. Bannon and the intellectuals Neuhaus regularly published in First Things share the conviction that, at a fundamental level, the United States is a Christian nation — not just in the sense that an overwhelming majority of Americans describe themselves as Christians, but also in the sense that the country’s highest ideals and convictions (above all, about individual rights and innate human dignity) derive from a Catholic-Christian inheritance the vitality of which must be actively fostered and promoted by the culture. The two groups also tend to view the threat posed by Islamic terrorism in terms of a civilizational clash between Islam and the Judeo-Christian West (or “Christendom”). But that’s where the continuities end. At their best, the original theocons followed a tradition of Christian political reflection that insisted on placing the nation under the guidance and judgment of a transcendent God (and his extra-political Church) that stands apart from all this-worldly communities. That was in fact the theme of Neuhaus’ final book, published shortly after his death from cancer in early 2009. Bannon, by contrast, tends to treat religious affiliation wholly as a function of ethno-national identity: “We” in the West must affirm our Christian identity or we will be overrun by dangerous outsiders (Islamists) who will impose a different identity upon us. In this respect, Bannon’s position is closer to Eastern Orthodoxy (and Russian Orthodoxy in particular), with its sanctioning of an official ethno-national church that mediates between individual believers and the Godhead. Yet, to Linker’s credit, he can tell the difference between a good theocon and a fear-inspiring one, unlike many social justice types who think the campus of Princeton University is just like Ferguson, Missouri. I do wonder, though, if he remembers how his editors at Doubleday trumped up his book? Do you believe the Catholic Church should be actively intervening in American politics on the side of the Republican Party? Do you believe the federal government should be channeling billions of tax dollars a year to churches and other religious organizations? Do you believe a microscopic clump of cells in a petri dish possesses the same rights that you possess? Do you believe a doctor who performs abortions — and a woman who chooses to have an abortion — should be arrested and charged with murder? Do you believe the public schools should actively teach children to doubt the scientific theory of evolution? Do you believe legally available contraception is producing a “culture of death” in the United States? Do you believe that the United States should be a Christian nation? Do you fear Christians because you don’t fear Muslims? Can we imagine an America without Muhammad Ali, who was born Cassius Clay in Louisville and gained national fame when he won a gold medal at the Rome Olympics in 1960 as a light heavyweight boxer? In 1964, Clay defeated Sonny Liston, becoming the world heavyweight boxing champion. A few years earlier, Clay had gone to Nation of Islam meetings. There, he met Malcolm X, who as a friend and advisor was part of Clay’s entourage for the Liston fight. Clay made his conversion public after the fight, and was renamed by Nation of Islam leader Elijah Muhammad as Muhammad Ali. When he was reclassified as eligible for induction into the draft for the Vietnam War, Ali refused on the grounds of his new Muslim religious beliefs. Famously, reflecting on the racism he had experienced in America, Ali said, “I ain’t got no quarrel with them Viet Cong—no Viet Cong ever called me ni**er.” His conscientious objector status was rooted in the teachings of the Nation of Islam, as Elijah Muhammad had earlier been jailed for his refusal to enter the draft in the Second World War.
. . . Or think of my other great hero, another American Muslim, Kareem Abdul-Jabbar. The greatest basketball coach ever, the late John R. Wooden, thought that Kareem was the greatest basketball player ever. In his three years of eligibility under Coach Wooden at UCLA, Kareem was three-time player of the year, three-time finals MVP, and three-time NCAA champion. In other words, he had three perfect seasons while he earned his degree. He lost the same number of games at UCLA—two—that he did in high school. Kareem converted to Islam in 1971, and excelled in the pros just as much as he did in college or high school. All in all, he won six NBA championships and six NBA MVP awards, was a nineteen-time all-star, and remains the NBA’s all-time leading scorer. Combine that pro record with his three NCAA championships, and I don’t know how you can make the case for anyone else as the greatest basketball player of all time. If there were no more Muslims, we could stop all this silly talk about a two state solution. And if Trump does not like it, Jews in Israel will go over his head and take it to Lindsay Graham. Can one individual be Palestinian in one kingdom and Reformed in the other kingdom? The Canons of Dordt 3:4– There is, to be sure, a certain light of nature remaining in man after the fall, by virtue of which he retains some notions about God, natural things, and the difference between what is moral and immoral, and demonstrates a certain eagerness for virtue and for good outward behavior. But this light of nature is far from enabling man to come to a saving knowledge of God and conversion to him—so far, in fact, that man DOES NOT EVEN USE IT RIGHTLY EVEN IN MATTERS OF NATURE AND SOCIETY. Instead, in various ways he completely distorts this light, whatever its precise character, and suppresses it in unrighteousness. In doing so he renders himself without excuse before God. Actually, I think of my friends from where I worked who are Muslims. One of them was studying to be a teacher and I wished that my kids were the right age to have this person as a teacher. I also think of other students I’ve taught or a former colleague who went out of his way so we could get together to eat. But I also think of what I have read from the Quran and what I’ve studied in preparing to teach a comparative religions class. People misunderstand how Islam started because they are content with only reading Islam’s antagonists to learn about it–this is similar to going to Bill Maher’s seminary to learn about the Reformed faith. All of that doesn’t mean that I agree with the basic tenets of Islam or where it disagrees with the Christian faith. Nor does it mean that I don’t see the problems with authoritarianism that is present in Islam. Here we should note that American conservative Christianity has its own problems with authoritarianism and that applies to more than just the theocons. All I am saying is that how many American conservatives describe Islam and its adherents differs greatly from my own reading and experiences. In addition, we American conservative Christians, I am a religious conservative Christian, should note that we support a lot of violence in the Middle East as long as our government rather than us are practicing the violence. Thus, we should remember the prayer of the 2 men praying before we American conservative Christians want to trash Islam. Certainly Islam is wrong about many points, but Islam is not the problem, hubris and greed are. Evangelicals received the most critical ratings from atheists, and vice versa. They are the only two traditions to have “chilly” feelings toward one another. (Pew counted a negative rating as 33 degrees or lower on the feeling thermometer). However, Pew noted that evangelicals have “warmed up slightly” to atheists, rating them at 33 degrees in 2017 versus 25 degrees in 2014. Evangelicals earned the most favorable ratings from Americans ages 50­–64 and 65 and over. The older groups also gave the worst ratings to atheists and Muslims. Meanwhile, millennials now feel equally toward atheists and Muslims as toward evangelicals (with Mormons trailing behind). You’d never know that from the mainstream press. What, can’t one be a religiously conservative Christian while being politically nonconservative? Or must one be a libertarian? Curt, the way you throw around sin and righteousness in political and social commentary doesn’t reassure me that you are a religious conservative. I do get the moral indignation that goes with fundamentalism. Then what is your definition for religiously conservative Christian? After all, does it include those who believe in the tenets of fundamentalisim as it origianlly started make one a religiously conservative Christian? Does Machen define those who believe that Jesus Christ, the Son of God, physically rose from the dead and was born of a virgin and who died on the cross to redeem those who believe in Him from their sins and who believe that Christ will return and who believe that the Scriptures as they appear in the original autographs are inerrant as religiously conservative Christians? Or do I also have to be a conservative libertarian, which is political classification not a theological or religious one, too in order to be counted as a religiously conservatve Chrisitan? Curt, a religiously conservative Christian is someone who knows where the gospel begins and ends, who knows the difference between this world and the world to come. Actually, when you go to the divide between conservative Christianity and theological liberalism, the divide is over the supernatural. Theological liberalism was all about reducing reality to the physical. Conservative Christianity was about recognizing God’s supernatural intervention into this world by His Son and its description as was recorded in His Word. What you are saying not only forgets the real division, it makes the mason-dixon line between conservatism and liberalism subjective according to which Christians one speaks to. And that creates an unnecessary division in the Church with each side claiming that it has a monopoly on real Christianity while acting like the pharisee from the parable of the two men praying that contradicts the claim. But just for the fun of it, tell me where you think the Gospel ends and how it differs from where I think it is. And tell me how working for social justice implies that one doesn’t know the difference between this world and the world to come. After all, not all who work for social justice believe that there is some earthly utopia. Curt, remember the social gospel, the original social justice warriors, inspired by those who gave up the supernatural. As you do when you turn social inequities into sin. Selah. But why live in the past when defining people today. It is one thing to see similarities but it is quite another to not see the differences that emerge over time. Take Marxists for example. Both Marx and his earlier followers believed in creating a utopia. But such is not necessarily the case today as many people who agree with Marx to varying degrees do not believe in reaching some utopia. As for social inequities being sin, sorry but you would have to examine that from a case by case basis for they are sin or not. And you have merely stated that turning social inequities into sin is giving up the supernatural. You have nether shown that to be the case for inequities and you assume that there are no social inequities that are sins from the beginning–in other words, they don’t need my help to be turned into sin. Here is a though, that what we think of social inequities is often determined by the the social and economic class we belong to. Those who live in privileged classes will be tempted to deny that some social inequities are sins while those who are marginalized might be tempted to reduce the Gospel to working for social justice. However, there is a middle ground there to explore where some social inequities are legitimately seen as sin but where working for social justice becomes a reflection of how God has treated us when redeeming us from sin. What a splendid cleaning up of the Gentile cities it would have been if the Judaizers had succeeded in extending to those cities the observance of the Mosaic law, even including the unfortunate ceremonial observances! Surely Paul ought to have made common cause with teachers who were so nearly in agreement with him; surely he ought to have applied to them the great principle of Christian unity. See, cleaning up cities is different from the gospel, Mr. (get this) Fundy. Your use of the quote assumes an identification between the Judaizers and all Social Justice Warriors. Your reliance on Machen gives a confirmation of what I just wrote: that you are not looking at the differences that emerge over time. And your reliance on Machen here indicates an unwillingness to critically evaluate Machen as he engaged in black-white thinking that is if Machen himself was equating Social Justice Warriors with the Judaizers . We could also ask if Paul was being a Social Justice warrior when he acknowledge that we should all be concerned about the poor in his letter to the Galatians or was James a Social Justice Warrior when he wrote against the rich who were exploiting their workers? Is making efforts to love one’s neighbor as the parable of the Good Samaritan defines neighbor imply that we are trying to even partially rely on merit in our relationship with God? Or was Machen’s all-or-nothing thinking the reason why he thought all the efforts of those tried to help others merely exercises in self-righteousness? 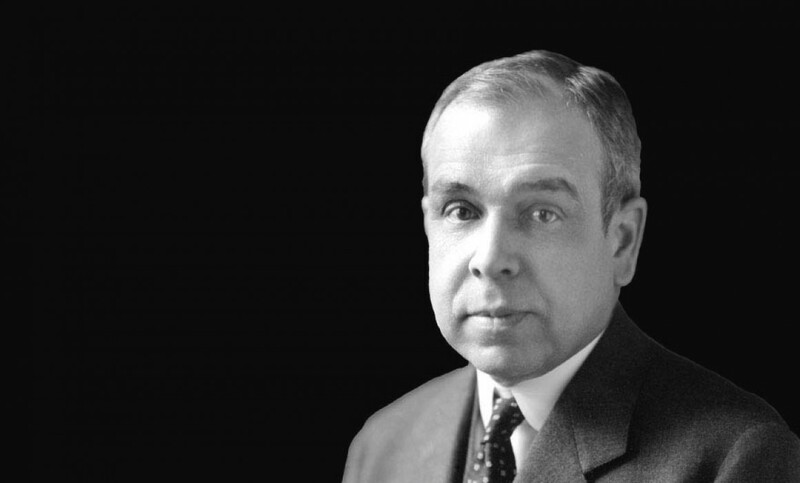 Machen may have said it best but you have not shown the necessary connection between being concerned about social justice and denial of the supernatural. Curt, by implication, those who equate social justice with the cause of Christianity (Judiazers or SJW) immanentize the eschaton. Yes I have read Vos. I actually used him when when teaching a comparative religions course. BTW, have you read my comments? I have never equated social justice with the cause of Christianity. In fact, I’ve criticized those who reduce Christianity to social justice. But I have also criticized those who eliminate social justice from the Christian life. At some time, you need to realize that using old definitions and models to analyze current versions of past movements is flawed because it doesn’t account for changes and variations that have occurred over time. Again, while Marx and his early followers believed in ushering in a utopia, many of later followers did not believe in any utopia. And one would never know that had they relied on old definitions and models of thought. Curt, that’s funny. The hysteria right now over Trump sure sounds a lot like the frenzy that Progressives and their evangelical predecessors whipped up. So which of those complaints are from progressives only? And how does any of that prove your point when you do not acknowledge the changes and variations that have occurred in Marxism over the years? Curt, you may have heard that American was a socially unjust nation well before Donald Trump became POTUS. Or are now you saying that the U.S. was innocent of wickedness before 01/17. If so, you need to work on messaging. I think I have adequately communicated my recognition that our nation was unjust before Trump. The comment you are addressing was a response to your previous comment that said the hysteria over Trump sounds a lot like what progressive et.al. whipped up. So your response ignores the context of what I said, some of which is not in the domain of progressive concerns. And while I need work on messaging, you seem to need work on proving your statements.